A very popular product from Bio D - a concentrated low foam washing up liquid which is tough on those stubborn burnt on stains yet gentle on hands. Contains lots of eco-friendly ingrediants such as vegetable oil citric acid and vegetable glycerine. Perfume free biodegradable and suitable for people with strong allergies. The Bio D Concentrated Washing-up Liquid - 750ml product ethics are indicated below. To learn more about these product ethics and to see related products, follow the links below. I was looking for a replacement for my previous favourite brand who disappointingly sold out to a major brand. I am happy to report this is an excellent option. In particular the consistency it just right. I plan to purchase the 5L container. Another good value product. Especially in the sale! An excellent quality vegan product. A small amount of this washing-up liquid goes a long way! 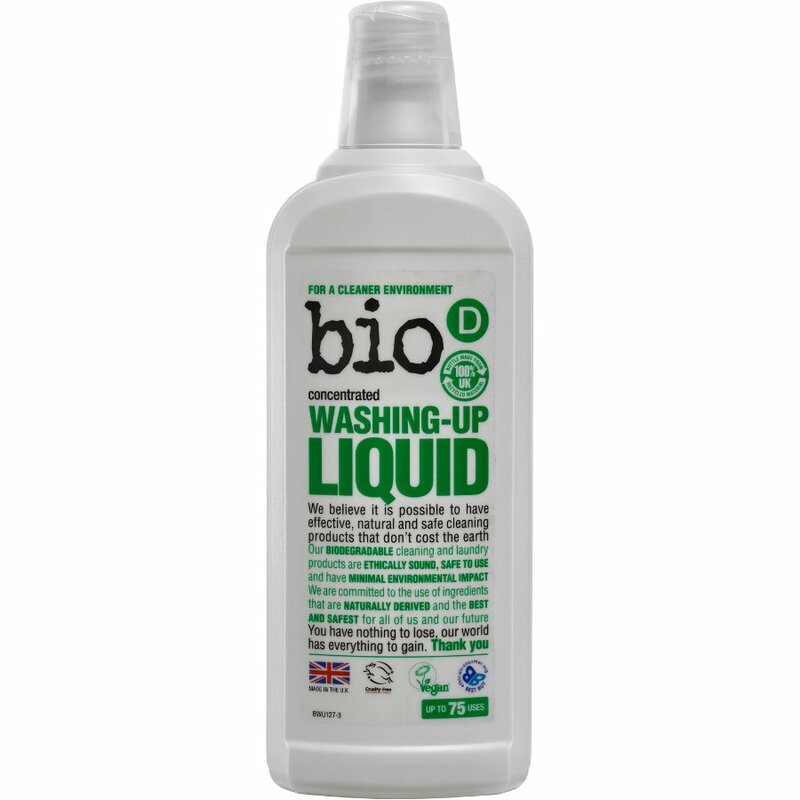 There are currently no questions to display about Bio D Concentrated Washing-up Liquid - 750ml.